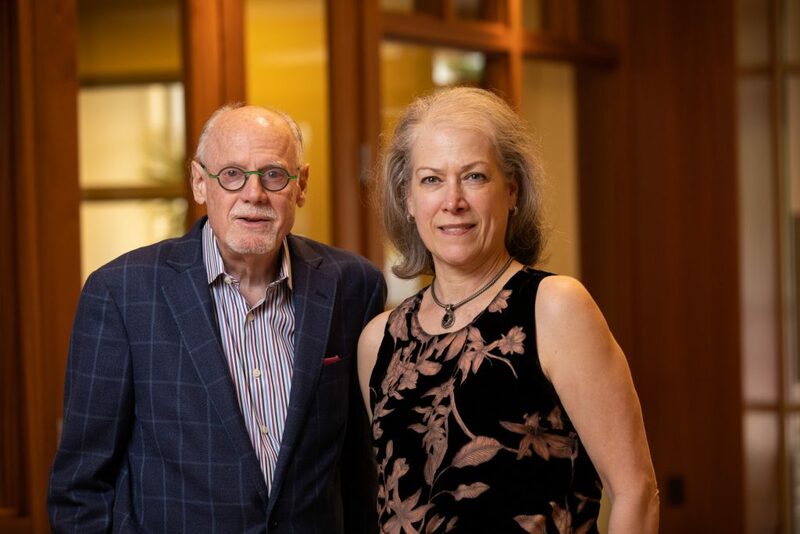 Tina Sheaffer Glenn founded FirstLight Home Care Guilford in 1999 as Hearthside Home Care, and Vice President Roget De Percin Berendes joined in 2000. Their goal: to serve the Greensboro and surrounding area’s growing need for non-medical companion and in-home care services. In July of 2018, going into its 20th year, Hearthside Home Care became FirstLight Home Care. Tina is a health care professional with 40 years of combined management experience in acute care, nursing home and assisted living care, and home health care. She had been a caregiver at an earlier age and was looking for a way to make a difference where there was such a void – closer to those caregiver roots – in helping others remain as independent as possible wherever they call home. Prior to joining Tina in 2000, Roget had a successful career for 47 years in management and sales within his family’s own major costume jewelry manufacturing company, as well as high-end designer and contract furniture manufacturing, hardwood furniture manufacturing, and interior design and furnishing. He too was a caregiver for family members at an earlier age and was looking for a new beginning in a way that he too could help others. Recognized as a leader in the Piedmont Triad for non-medical in-home care and companion services, FirstLight Home Care of Guilford is an active member of the Association for Home & Hospice Care of North Carolina. Roget currently serves as a member of the Association’s state licensure and regulation committee, and Tina currently serves on the Association’s Board as a non-certified member, while also serving on the Association’s Public Relations Committee. Both Tina and Roget volunteer as much of their time and service as they can to the Association for Home & Hospice Care of North Carolina because they know the critically important role that the state’s association plays in the advancement and preservation of their industry, not only in North Carolina, but nationally, given the association’s strong national affiliations. Roget attended Iona College, and holds a Bachelor’s degree in Business Administration. Tina attended The Pennsylvania State University, Wilkes University, and the Yale School of Public Health. She holds a Bachelor’s degree in Business Administration and a Master’s in Health Administration. They received the Association’s Leadership Award in 2015. They also received the President’s Award from the Western Carolina Chapter of the Alzheimer’s Association in 2005. Tina and Roget believe in the power of association and strength in numbers! They are thrilled to be a part of the FirstLight Home Care family. Roget is an iron chef and loves to cook and entertain. 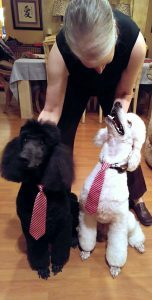 He and Tina both are into clean eating and lead active, healthy lifestyles. “Men Can Cook” is a Greensboro fundraiser tradition for the local Women’s Resource Center, at which Roget has volunteered his time and talent and culinary creations for 12 years as one of 50 well-known local chefs. He will again do so in October 2018. A native of Barrington, Rhode Island, and later Boston and Worcester, Massachusetts, Roget too loves living in Greensboro since his relocation to North Carolina in 1998. Randy and Pierre – FirstLight of Guilford County’s service dogs, bringing everyone some love!